Athletics at Newington offers a range of events for boys of all skills and abilities. We have an experienced group of coaches who work with the boys to help them achieve their personal best. The Athletics program at Newington continues to grow in leaps and bounds. Our boys train both onsite and at various other venues close to the College. We have an experienced group of coaches who work with the boys to help them achieve their personal best. Participation in Athletics is not compulsory for students but is open to all boys in Year 7 to 12. Boys who are invited to participate because of their results in fitness testing and others because of specific abilities in field events. The season culminates with the AAGPS Athletics Carnival which the whole school attends. 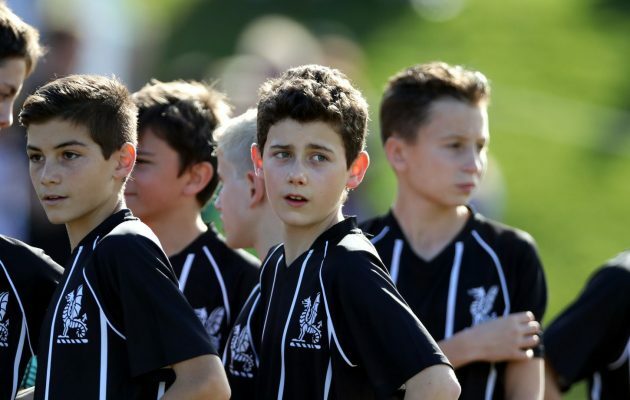 The Newington team trains twice a week for each event and boys often attend training for multiple squads throughout the week. Competitions take place on Saturdays throughout the season. 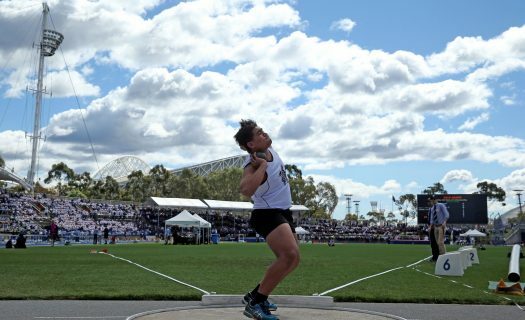 Boys are encouraged to participate in external competitions such as the CIS Athletics Meet and the New South Wales All Schools Championships to supplement their competition experience. The AAGPS season culminates in the AAGPS Championships which occurs towards the end of Term 3. The 2018 AAGPS Athletics competition was another season of tough competition every weekend leading into the AAGPS championships, with a talented group of young athletes and a strong senior cohort hopes were high for a promising season. The season consisted of four invitational meets and culminating on the final weekend of Term 3 with the AAGPS championships. The support from the boys and the staff in the stands was an outstanding example of the school spirit at the College. After winning the Junior championship in 2017 Newington were out to defend their position. With a very strong U14 age group and plenty of numbers and talent in the U13’s we were confident of a strong showing on the final day. It ended up being a three way battle Between Newington, Kings and Scots with the lead changing throughout the day. At the final count Kings were in front, with Newington finishing in second place. Congratulations to all the boys that represented Newington in fine style. We also recognise the achievement of Kings in winning the Junior competition. After a gruelling winter season the Intermediate Division was unfortunately the recipient of a few injuries that would affect the final points score. The College also made a conscious decision to run several boys up in the Senior Division. The positive of this saw several new athletes gain their opportunity and show their wares during the season. Congratulations to Kings for their dominance in this division. The competition for the Senior championship was going to be on the tightest in many years, the competition between Kings, Scots and Newington had been brewing all season and that was how it played out at the championships. The three schools all had strong all round teams and Kings and Scots had fought it out in 2017, Newington were confident and we were all looking forward to a great day of schoolboy athletics. At the final count it was Scots who prevailed over Kings and a fast finishing Newington. To those boys in Year 12 who will finish with Athletics colours, congratulations on your time with Newington Athletics.